» Are You Happy with the Open and Click Rate Results for your Email Campaigns? Mobilize Mail > Are You Happy with the Open and Click Rate Results for your Email Campaigns? Are You Happy with the Open and Click Rate Results for your Email Campaigns? Posted on Thursday, August 5th, 2010. 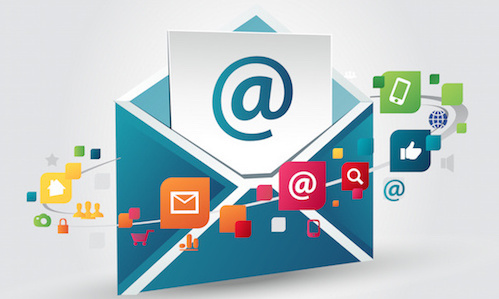 Have your recent email campaigns been effective? What measure do you apply to work out how successful a campaign has been? Most of us stick like glue to our email statistics reports for days after an email campaign is sent, watching the open and click rates climb. If you’ve noticed a decline in the open and click rates in your campaigns, don’t automatically assume it’s because more and more people are deleting emails without opening them. Sure, that’s definitely the case some of the time. As email marketers, we face an increasing battle to cut through the “clutter” in someone’s inbox to ensure our message gets through. There are a number of clever techniques you can employ to combat that issue. But it’s not the only reason for a decline in the statistics. Recent research based on worldwide statistics shows that open rates are steadily declining, from 12% in the first half of 2009 down to 11.2% by the second half of 2009. And it seems that the reasons we’ve outlined above are top of the list as the culprits for this decline. The statistics for click rates aren’t any better, dropping from 2.6% in the first half of 2009 to 1.5% in the second half of 2009. Again, this can be explained by the reasons set out above, but there is one more contributing factor that you may not have thought of – the increase in anti-phishing security measures. If you’re not sure what ‘phishing’ is, you’ve almost certainly seen an example of it. Ever received an email telling you you’ve “won” a major international lottery? Or received an email that’s allegedly from your bank, asking you to visit a specific link to reconfirm your account details? Phishing has been described as bait used to obtain financial information and passwords. It’s not surprising that emails, social media websites and shopping websites have been targeted. When anti-phishing measures have been installed, the email recipient is asked to click more than once to open the email (firstly to enable the links and secondly to click on the links) and this puts them off straight away and leads to instant deletion of the email in most cases. Although it’s very tempting to sit and watch the stats click over as soon as you’ve hit the sent button on a campaign, you could be there for a while. “Statistics show that most of the ‘action’ takes place within the first 72 hours (three days) after a message is sent – at a rate of about 90% of all potential opens and 93% of potential clicks. You can’t control the end user, but you can get their attention making your email personally relevant to them. Try including a field that populates with their first name and repeat it throughout the email (but not too much!) or go even one step further and use segmentation data to really get their attention. Segmentation is driven by a database that holds key information about your clients like, age, gender, recent purchases and interests and this information can be linked to the content of your email so that the recipient only receives information that is relevant to them. For example, imagine how a 45 year old confirmed bachelor would feel when he receives an email offering him a cheap deal on a 36 pack of nappies from a supermarket? Cheap nappies from a supermarket when you’re a confirmed 45 year old bachelor? That would probably result in an un-subscribe! Thankfully our Mobilize Mail system allows for unique personalisation in your email marketing messages.